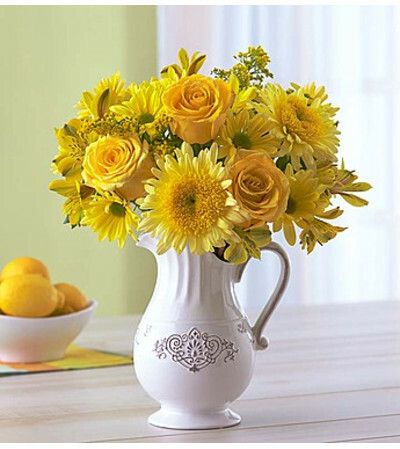 Here’s a refreshing surprise that celebrates the sunny side of life! 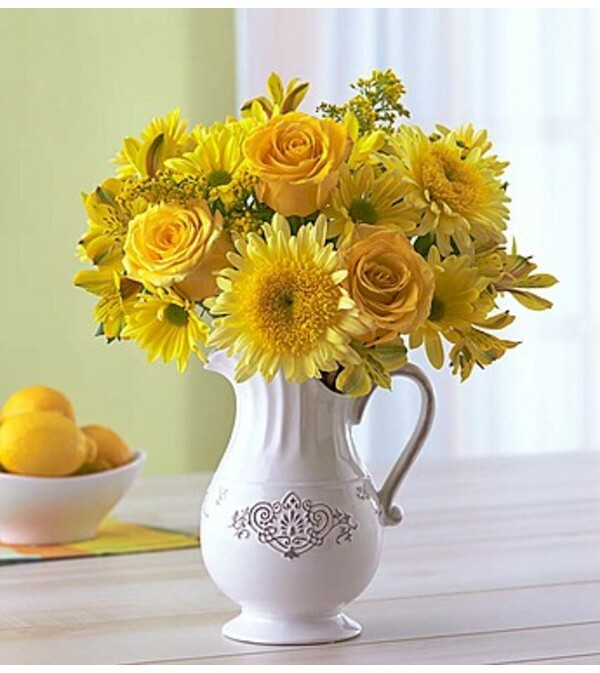 Our cheerful yellow arrangement of fresh roses, cremones, daisy poms and more is hand-designed inside our exclusive new “Charlotte” vase, an antique-inspired white ceramic pitcher that can be used again and again. 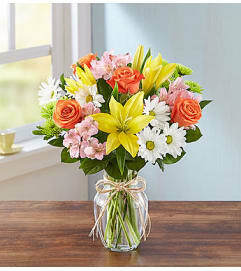 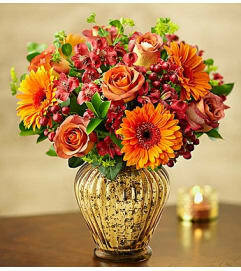 It’s a bright idea for birthdays, housewarmings or any day they could use a little extra sunshine.